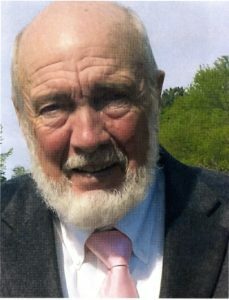 Wesley Lee Rowe, 72, of Kenly passed away at his home on Friday, February 8, 2019. He was born September 4, 1946 to the late John Wesley “Bud” Rowe and Chassie Lee Wells Rowe. The funeral will be held at Kenly Missionary Baptist Church at 3:00 pm on Sunday, February 10, 2019 with the Reverend Dario Ruvarac, Reverend George Arant and Reverend Devon Varnam officiating. The family will receive friends from 1:30 pm until 3:00 pm on Sunday, February 10, 2019 at Kenly Missionary Baptist Church, 1730 NC 222 W., Kenly, NC 27542. Mr. Rowe was married to Judy Martin on July 18, 1965 (53 1/2 years). He worked for Cummins for 52 years. He never complained about his job and never got dirty or greasy. He loved his job and made many friends. His first love was Jesus, then family, friends and part time farming. One of the many highlights of Wes’s life was his mission trip to Kenya. He fell in love with the people and Utawala Baptist Church. He would always say they are “survivors” and we can be to if we give our lives to Jesus. He is survived by his wife of 531/2 years, Judy Martin Rowe; children, Shannon Brock and husband, Frankie, Tonya Sanderson, and Martin Rowe and wife, Shannon; sister, Becky Fletcher and husband, Bill, 7 grandchildren, W. D. Brock and wife, Courtney, Chase Brock, Kayla Williams and husband, David, Dara Sanderson, Walker Sanderson, Marley Rowe and Mason Rowe; 5 great grandchildren, Dakota, Westin, Bladen, Parker and Maggie and many nieces and nephews. Although flowers are welcome the family suggest that memorial contributions be made to Kenly Missionary Baptist Church, 1730 NC 222 W, Kenly, NC 27542. These contributions will be sent to Utawala Baptist Church in Nairobi, Kenya.